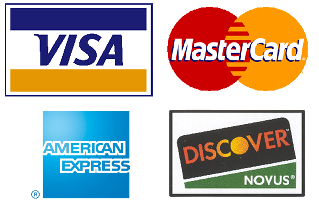 Cash, checks, most major credit cards, and CareCredit financing. Board certified plastic surgeon, Dr. Jeffrey Schreiber, also accepts most insurances. He encourages you to call his office ahead of time to verify acceptance of your insurance company. These methods of payment can be used to pay for the following plastic surgery operations and more: tummy tuck, breast augmentation, breast lift, facelift, liposuction, eyelid surgery, rhinoplasty, Botox, Restylane. In order to determine the best method of payment for you, we invite you to call the office anytime at (410) 902-9800. We also offer financing through CareCredit. Please click here to apply on-line. This method of payment can be used to finance your cosmetic surgery procedure. Unfortunately, CareCredit cannot be used for Botox, Dysport, Restylane, Juvederm, Radiesse, or Perlane. However, check in frequently as rebates are frequently offered for these products. For more detailed information, please visit the CareCredit website or call our office at (410) 902-9800. If you’d like to come to our office in order to pick up an application, we are conveniently located in Baltimore, Maryland near Greenspring Station.